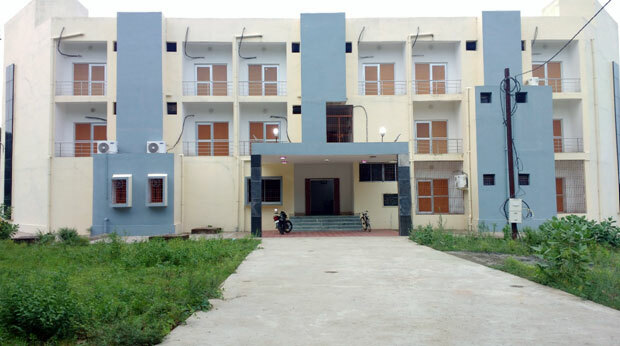 VSSUT Burla has a guest house to meet its needs. It is located inside the campus. The Guesthouse provides boarding and lodging facilities for the institute’s guests, newly appointed faculty and staff members, delegates and participants attending various conferences, seminars, symposia and workshops, visitors, alumni and parents of the students. The guest house is equipped with 20 numbers of rooms and 4 numbers of suites. All the rooms are air conditioned. The rooms have attached bathrooms and modern amenities. In addition, it has kitchen and dining hall. Guest House booking shall normally be done by a written request (submission of GH booking form with signature from the appropriate authority) sent to the PIC, Guest House. CAT ‘A’ Guest invited by the University for administrative work and for campus interview. Vice Chancellor / Registrar / Dean / HoD concerned University / Training & Placement Section/Concerned Department. CAT ‘B’ Guest / Individual visiting University in connection with Scheme/ project / Research/Consultancy / short term courses, Seminars & Conference etc. Dean SRIC / Dean CDCE / PIC Concerned. Thorough project / consultancy / respective/ coordinators/Supervisor. CAT ‘C’ Employee, Student’s parents / Guardians and Alumni /Guest from other Academics Institutes offered accommodation on reciprocal basis. Dean DSW / Faculty / PIC Concerned. Advance 1 day room rent and rest by the individual before checking out. If charges are not paid by the guest, then person making the booking is required to clear the bill within a week. Priority for accommodation will be accorded to guest covered under CAT ‘A’, CAT ‘B’ & CAT ‘C’ in order. Normally a booking in the GUEST HOUSE can be made for a period of 3 days and can be extended up to a maximum period of 5 days and beyond that extension can be done with the approval of the Vice – Chancellor. Guest house can be used only on prior booking except any emergency with permission from Vice – Chancellor. A copy of valid ID proof of all guests driving license/Addhar ID/Voter ID/ Registration ID and Passport for Non- Indian citizens is mandatory to be provided at the time of check- in. Check – in and check – out time in the guest house is 24 hours. 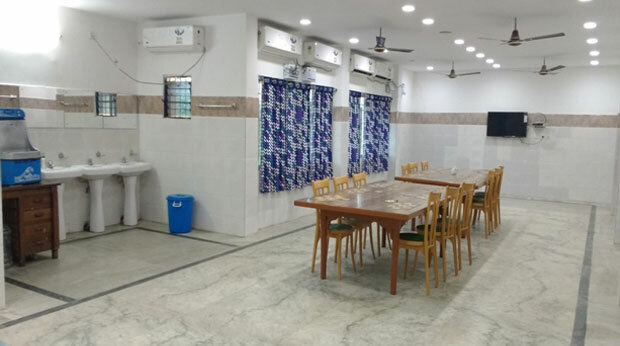 There will be food facility (Breakfast, lunch and dinner) on chargeable basic guest house and will be available for the guest, faculty and staff members of the University.